ST. LOUIS - March 8, 2016 - Body Gears Physical Therapy, a private, outpatient physical therapy provider rooted in the breakthrough practice of Functional Manual Therapy (FMT), recently teamed up with Friends of Kids with Cancer to sponsor a morning of art therapy for a group of children receiving cancer treatment at Mercy Clinic Children's Cancer Hematology Center. The activity allowed the kids to lose themselves while expressing their wonderful, vivid imaginations on canvas. This inspired artwork, named the Tree of Hope, will be prominently displayed in Body Gears newly opened Physical Therapy Clinic in St. Louis. Joanne Macza PT, OCS, cert MDT, of Body Gears, wanted to display some children's artwork in the new St. Louis clinic, and approached the mother of one of her current patients who has been a part of Friends of Kids with Cancer for years, and is currently battling cancer. Her patient is very creative, with a passion for art and design and the mother, also a part of the organization, encouraged her to reach out to Natasha Wood, art therapist with Friends of Kids with Cancer. Macza and Wood collaborated and the Tree of Hope mural was conceived. Wood coordinated efforts with the Mercy Hospital, David C. Pratt Cancer Clinic to schedule the event and Macza and Body Gears procured all of the necessary materials and supplies, putting together an individualized art kid and an inspirational Good Vibes Coloring Book for each of the participating children. "The art kit that the kids take with them allows them to continue to be creative whenever they feel the urge, where they may be," said Macza. As manager of the St. Louis clinic and with more than 22 years of experience, Macza is passionate about helping patients achieve health and wellbeing, one of the cornerstones of Body Gears Physical Therapy. 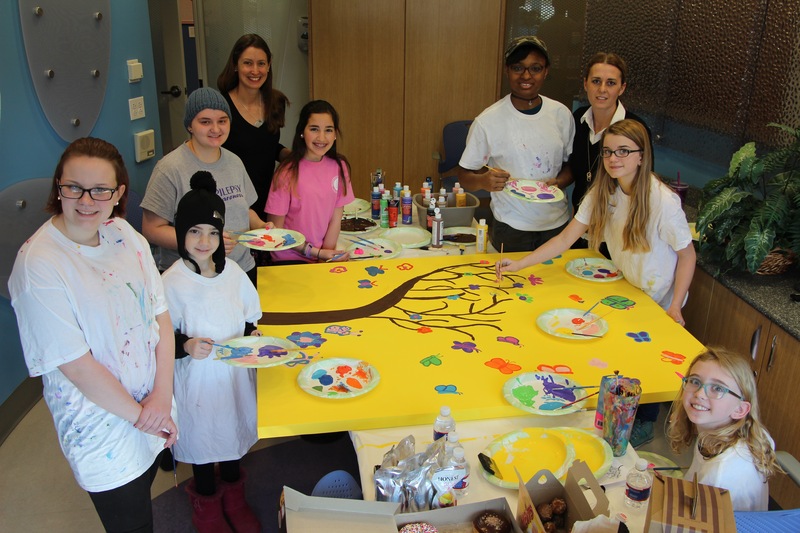 Macza and her own 9-year-old daughter joined many of the patients' families on March 5 to help support the children as they worked together to create a work of art as colorful and vibrant as the artists; something that symbolizes the indomitable spirit of these patients. "It's important to support healing efforts, whether from serious illness or injury, " stated Macza. "I enjoyed meeting all the participating families. Watching the children immerse themselves in this painting reaffirms the importance of working toward the best quality of life possible for any patient. This artwork will symbolize that for our clinic. This project is truly about giving the kids an opportunity to escape their daily routine and be creative, have fun, laugh and just be kids." "Body Gears is grateful to be a supporter and contributor to such a worthy cause. It is our intention to continue our sponsorship and participation in these art-based programs with Friends of Kids with Cancer," stated Macza. Photos capturing this heartwarming event are available here. The Body Gears treatment philosophy is rooted in the breakthrough practice of Functional Manual Therapy taught at the Institute of Physical Art (IPA). Of the more than 300,000 licensed physical therapists in the U.S., fewer than 300 have a certification in Functional Manual Therapy (FMT) and fewer than 30 have successfully completed their fellowship in this modality. More information about Body Gears Physical Therapy can be found at www.bodygearsstl.com.